Keren Industries was founded in Israel in 1975 by Eli Amuyal, who holds the position of General Manager to this day. 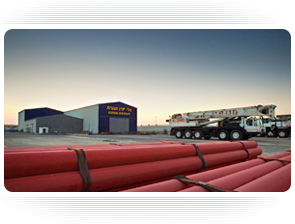 Keren was initially established as a contracting firm for the process industry in southern Israel. In 2003, Keren Projects was created to provide Keren's clientele with comprehensive engineering solutions that include project management, design, procurement and construction of industrial projects. Keren Industries continues to provide metal construction and fabrication services to the Projects division. Keren Group's main fields of activity today include the chemical and energy industries, custom fabrication and waste treatment. For more than thirty years, Keren has maintained a level of service excellence that has made the company an industry leader. The management team at Keren Group has a rich history of technical and project management experience that has carried the company through tremendous growth to become a fully-fledged engineering solutions provider. Today, Keren Group is ideally equipped to fulfill the complete range of engineering requirements with the high standard that has become synonymous with the Keren name.